Comparing contractor accountants and finding the right match is an important step. Not only will your contractor accountant make sure you meet all of your statutory and legal requirements, they will also free you from bookkeeping so you can focus on your business. You must make sure your contractor accountant is qualified. It’s easy to find out if your accountant is certified or chartered through one of the main accountancy bodies in the UK, including the ICAEW, ACCA and ICAS. It is advised to work with a specialist contractor accountant as they will be more up-to-date with the latest industry legislation, such as IR35, and the nature of the work you will undertake as a contractor. Contractor accountants vary wildly in terms of the size of the firm, from individual outfits to mammoth operations with hundreds of accountants and clients on the books. Is the accountant a contractor specialist? Does the accountant have a significant number of contractor clients? Does the accountant have any client references to demonstrate their work in this sector? How long have they worked with the contractor demographic? How many qualified staff does the firm employ? Do you get a dedicated specialist contractor accountant? How many contractors are assigned to each accountant? A specialist accountant can advise you on the most efficient way to set up your business as a contractor. This work can incur additional fees, so you may want to find out if the accountant charges extra to set up a new limited company and to complete the initial tax registrations (such as VAT, corporation tax and payroll). What will you do to set me up as a contractor, and how much will you charge for these services? Most contractor accountants use a monthly subscription model to charge clients. Make sure you find out what you will be charged and what services are covered to check you’re being charged a fair fee. Can I have a detailed list of the services I will receive? How much do you charge your clients if they require some additional services? What level of contact can you expect from your accountant on an ongoing basis? How can you contact them with a query? And what is their response rate? Will you be charged or will you receive unlimited support? Does the accountant offer an online accounting system? And what can you do in that system? Can you access a demo of any software that use may use? And what compatibility does that software have with any of your existing systems? Does the accountant offer a no obligation trial period, in case you change your mind? Are there any additional business services that the accountant could assist you with? Additionally some contractor accounts will incorporate online accounting software within their fee. Accounting software such as FreeAgent is becoming increasingly popular as it helps you keep your accounts up-to-date with minimal effort. Software that isn’t specific to one accountant could be useful in the long run as it enables you to port across your accounts without much hassle if you switch accountants. If you’re struggling to choose an accountant, then try reaching out to the contractor community and ask for personal recommendations. 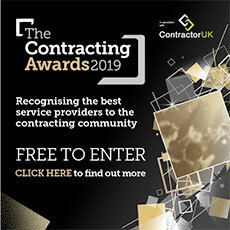 The ContractorUK forum is a good place to start and you could also use review sites, or speak to other contractors at your workplace. It is advised to get a quote and list of services from a few different contractor accountants so that you can compare them. You can find a list of contractor accountants in the ContractorUK Directory.